Many areas of the country are starting to brace themselves for winter. The temperature is dropping, the holidays are approaching, and homeowners are going through the process of winterizing their homes in preparation. The winter weather can be harsh on your home with ice, snow, and below freezing temperatures which makes it important to spend the last good days of the fall season prepping your home. Good winterization will help protect your home from the most extreme winter weather and give you peace of mind as the temperatures continue to drop. 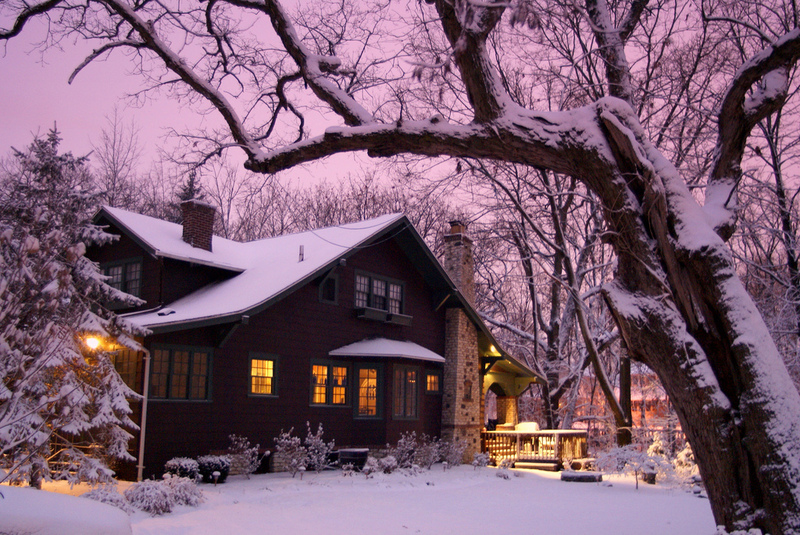 The following tips can help you effectively winterize your home. Cleaning the gutters should be part of your fall maintenance. Clogged gutters trap melting snow on the roof and create ice dams which puts incredible pressure on the roof, soffit, and fascia. Inspect your roof for loose, damaged, or missing shingles. It may be best to consult a professional to inspect and repair your roof. They will find hidden problems that may be difficult for you to notice. The furnace filter captures airborne dirt and debris as it passes through the system. When the filter becomes full, it restricts airflow which lowers heating efficiency and increases the risk of a malfunction. By changing the filter at the beginning of winter, you will help ensure that your home is heated efficiently while decreasing the risk of a breakdown. Many people use space heaters to provide extra warmth in colder areas of the home. You must be cautious when using space heaters because many are powerful enough to cause a power surge and they are also a fire hazard. Do not leave space heaters on unattended or while you sleep. Consider a space heater with auto shut-off to be on the safe side. Burst pipes are a common problem in the winter. Cold temperatures cause water in the less insulated areas of a home to freeze within the pipes. As the ice within the pipe expands, the pipe eventually bursts and water will start leaking out into your home. The only way to stop a serious leak like this is to shut off the water at the main valve. Make sure you know where the main water shut off valve is in your home and how to use it. Winter weather in some areas is extreme and unpredictable. Ice, blizzards, and below freezing temperatures could cause considerable damage to your home. You must have an emergency plan in place so that you and your family are not out in the cold if your home is heavily damaged. Your plan must include how to react to certain emergencies and where to go in case you are forced from your home. Share your emergency plan with your family so everyone knows what to do. These winterization tips will help protect your home from potential damage caused by winter weather conditions. However, there is no way to guarantee that your home will make it through the winter with no damage. If your home is heavily damaged this winter due to a storm or heavy ice and snow, do not hesitate to contact a professional for storm damage restoration. These professionals will clean up the damage and provide construction services to fully rebuild your home.